Lacy Marie Crocker can hardly believe it's been a year since her return home to New Orleans. There hasn't been a dull moment since opening her pet boutique last summer, and thanks to the popularity of Lacy's organic pet treats and the arrival of the National Pet Pageant, Lacy desperately needs some help before she is overrun by the demand for pupcakes and crinolines. Everything is going spectacularly until Viktor Petrov, the pageant emcee, takes a spill from the balcony during dress rehearsal. Lacy Marie Crocker's whimsical pet couture has gained a following in New Orleans' cozy Garden District, and word of mouth has traveled all the way to her favorite fashion designer, Annie Lane. 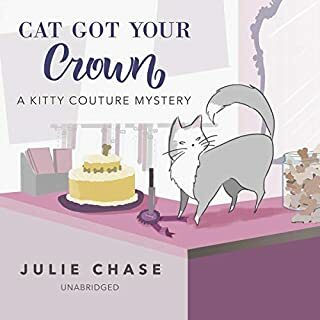 Lacy is thrilled when Annie schedules a private session at her home to discuss a companion line for her evening wear, but when Lacy arrives for the appointment, she enters the kitchen to two mewling Siamese cats - and one very dead Annie. Grandeur and opulence are everything in the famed New Orleans Garden District where pets are family and no bling is too big. 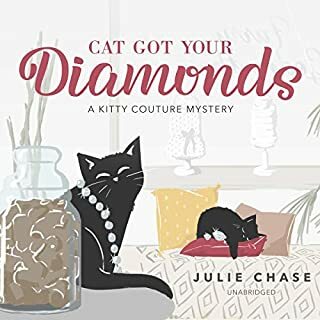 Opening Furry Godmother, pet boutique and organic treat bakery, is Lacy Marie Crocker's dream come true - until the glitter gun used to make her Shih Tzu tutus becomes a murder weapon - and Lacy becomes public enemy number one. 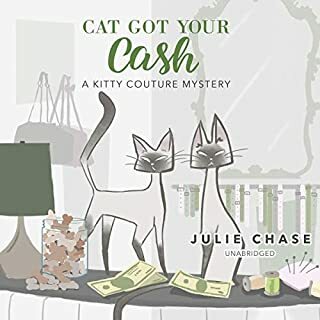 Now detective Jack Oliver is hounding Lacy, and her Furry Godmother investor wants out before his name is tarnished by association. Lacy Marie Crocker has settled into a comfortable groove back home in New Orleans, and with Valentine's Day right around the corner, she's busier than ever running a thriving pet boutique, helping her mother organize the upcoming National Pet Pageant, and untangling her complicated love life. 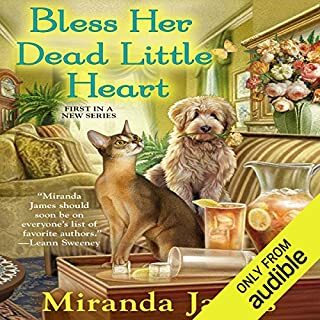 But when delivering a king-sized order of dreidel-shaped doggy biscuits for a Saint Berdoodle's bark-mitzvah, Lacy stumbles into yet another murder scene - and the last person to see the victim alive was her own father. It's up to Lacy to clear her dad's name from the suspect list before Detective Jack Oliver has to cage him for good. 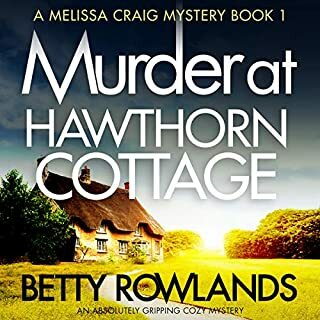 But just when she starts pawing at the truth, she receives a threatening letter from a mysterious blackmailer bent on silencing her with her own secrets. And Lacy's not the only one with bones in her closet. 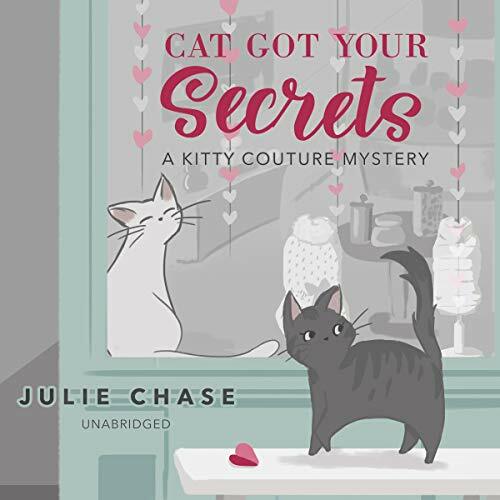 Time's running out in this deadly cat-and-mouse game in Cat Got Your Secrets, the delightfully funny third novel in Julie Chase's Kitty Couture mystery series. 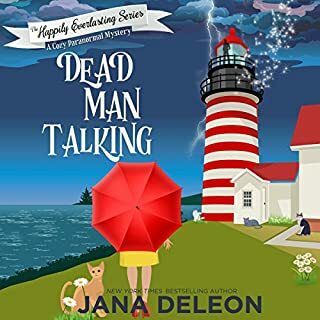 ©2019 Julie Chase (P)2019 Blackstone Audio, Inc.